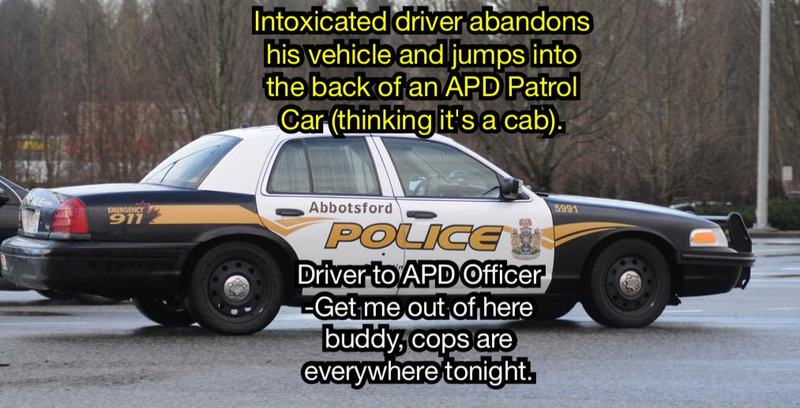 A man in Abbotsford, British Columbia, had a bad day on the 7th. This might have been a good decision. That is, except the car wasn’t a taxi. It was an idling police car. The officer, probably stunned at how easy it was getting to take drunk drivers off the streets these days, took the man straight to jail. There is no word as of yet as to whether the officer kept the meter running while he was writing up the arrest report.